Last week I shared a photo of my new couch. I don’t buy furniture often; I try to just keep my furniture in the best possible condition. I vacuum each piece every month or so. I clean them with “Resolve” when I see stains. I sew up any loose seams. If I see a piece of material that has come loose I will reattach it with a staple gun. I also spray springs with WD40 when they get noisy. Sometimes, it seems the piece of furniture is getting shaggy. I don’t just toss them; I take more drastic steps. Can you see the difference between the right side and left side of this chair? 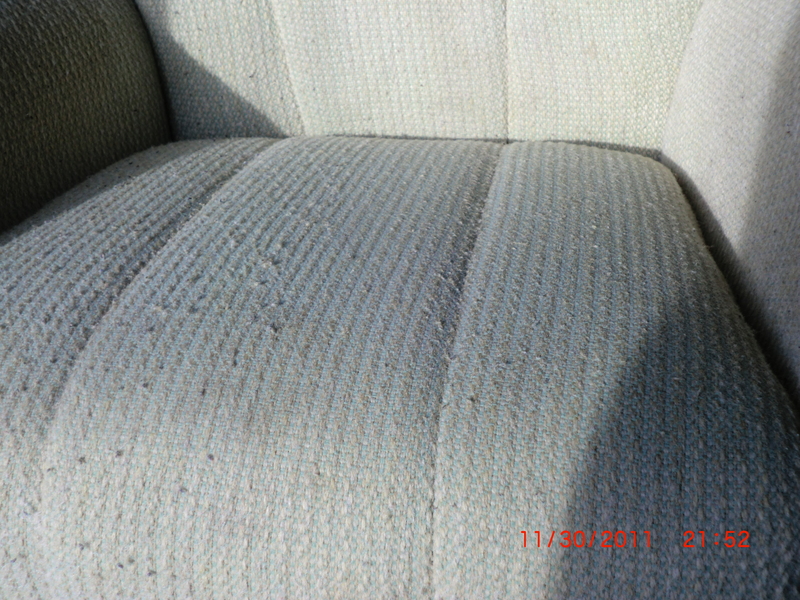 The right side is "renewed". My secret is in the second photo. That’s right, I shaved it! 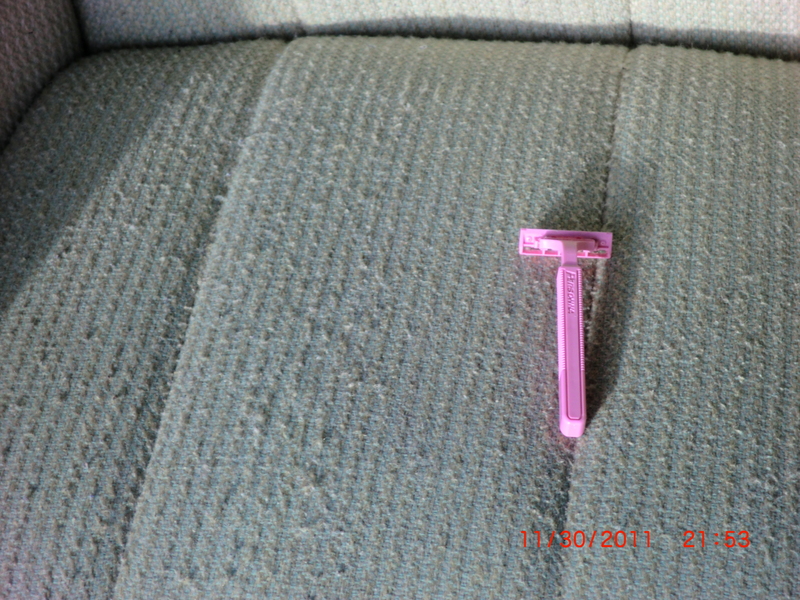 I used a disposable razor to shave off the pills. I took the picture when the chair was only half-finished. It’s true, you can renew furniture!